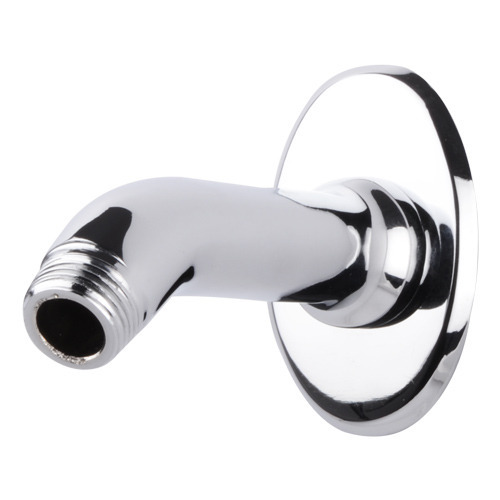 As a quality-oriented organization, we are focused to provide our clients excellent quality Shower Arm. The offered arm is manufactured with the help of supreme quality metal and modular machines in compliance with set industry standards. This arm is made available in number of shapes and sizes for our clients to choose from. It is widely used in number of commercial and residential places for controlling flow of water. Clients can avail this arm from us at market leading price. Established in the year 2007, in Ghaziabad, (Uttar Pradesh, India), we "Hindustan Moulding Engineering" are the foremost manufacturer and supplier of a comprehensive assortment of Economy Series Bathroom Fittings, Vital Series Bathroom Fittings, Vital Dx Series Bathroom Fittings, Icon Series Bathroom Fittings, Premium Series Bathroom Fittings and Bathroom Showers. These bathroom fittings series are widely used in homes, commercial complexes, offices and various other industries. The offered bathroom fittings series are manufactured by our skilled professionals using the best quality stainless steel, brass and advance technology in complete accordance with the set industry standards. The offered products are acknowledged by our valuable clients for their features like the smooth flow of water, comfort grip, enhanced durability, easy to install, leakage proof, low maintenance, attractive design, robust construction and corrosion resistance. In addition to this, clients can avail these products in various sizes, designs and other related specifications as per the requirements of our clients.